Van Anh has been known as a committed social activist who has made great efforts in fighting for women’s rights. Van Anh founded CSAGA in 2001. Over the last 20 years, Van Anh has worked to promote the rights of women who are vulnerable to domestic violence, human trafficking and LGBT (lesbian, gay, bisexual and transgender) discrimination. 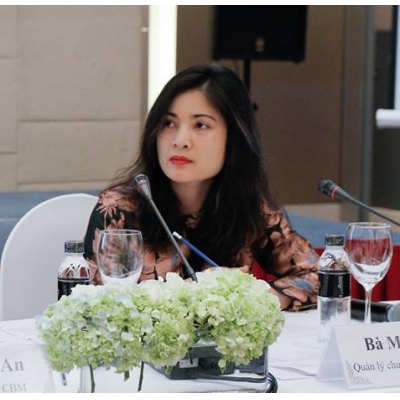 As a former reporter at the Voice of Vietnam (VOV) Radio Station, Van Anh has many initiatives in communicating about women related issues. 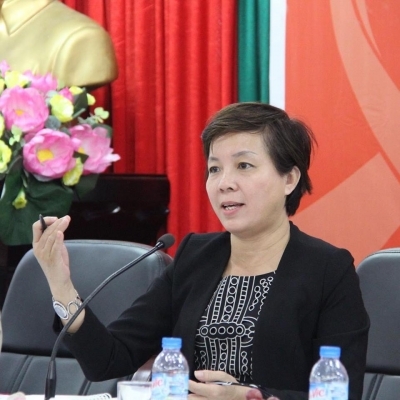 Together with counterparts, Van Anh established and developed the DOVIPNET and GBV networks in Vietnam. She is also a member of the Global Network of Women’s Shelters and Asian Network of Women’s Shelters. In her career, Van Anh has won a number of awards, including the Second Prize in the 1991 UNICEF Writing Contest for Children, the Silver Award at the 2000 Radio Festival, the 21 Women Leaders of the 21st Century Prize by the US Women’s eNews Magazine, and Character of the Month voted by the US Ministry of Foreign Affairs 2012. After nearly 20 years working as director and founder of CSAGA, at the moment Van And concentrates on training the next generation of young leaders. Thuy is CSAGA’s Deputy Director who has recognizable capacity in implementing prevention programs and organizing communication events to improve people’s awareness about the issues of violence against women. Thuy has successfully ran and supported the counseling hotline and victim support office for survivors of gender-based violence. She is also the main coordinator of the National Gender-Based Violence Prevention Network. Thuy has created a wide network of journalists and reporters who support CSAGA in increasing gender sensitivity through mass media. Since 2000, Thuy has organized many national campaigns on gender-based violence preventions and made great success.. 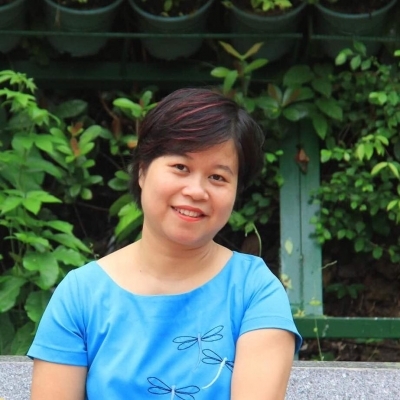 Graduated from Hanoi University of Law, Buoi started her work at CSAGA as a counseling specialist. Buoi has worked for many years in projects on women and children’s rights promotion. Her greatest strength is conducting training programs through creative approaches. Furthermore, Buoi has designed different projects incorporating arts and psychological impact to support survivors of gender-based violence.